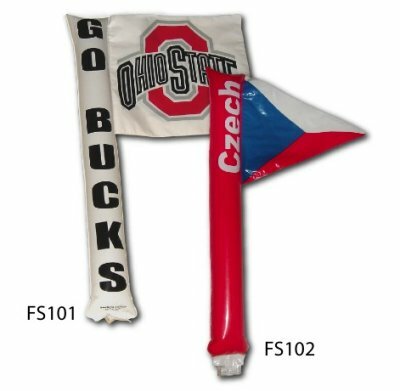 Combine the popular PubliStix with a flag or pennant for extra fun in the stands. Quality printing and manufacturing provides for a winning cheering combination for any large event. Both the flag and the pole can be printed. Considering having sponsors place their logo on the back of your FlagStix and raise funds. Up to 4 logos can be placed easily.